The Rouge Valley Conservation Centre is located at 1749 Meadowvale Road, Toronto, Ontario. From Hwy 401 take the Meadowvale Road exit, go north past Sheppard Avenue East. Take the ramp up to the Toronto Zoo and turn right at the top of the ramp. 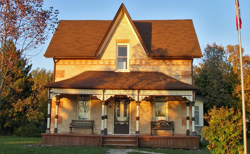 The Conservation Centre is the 2 storey house down the road on your right. See maps below for our exact location as we are a bit tricky to find. The Rouge Valley Conservation Centre is TTC accessible. Please visit ttc.ca or call 416-393-3646 to find the route best for you. 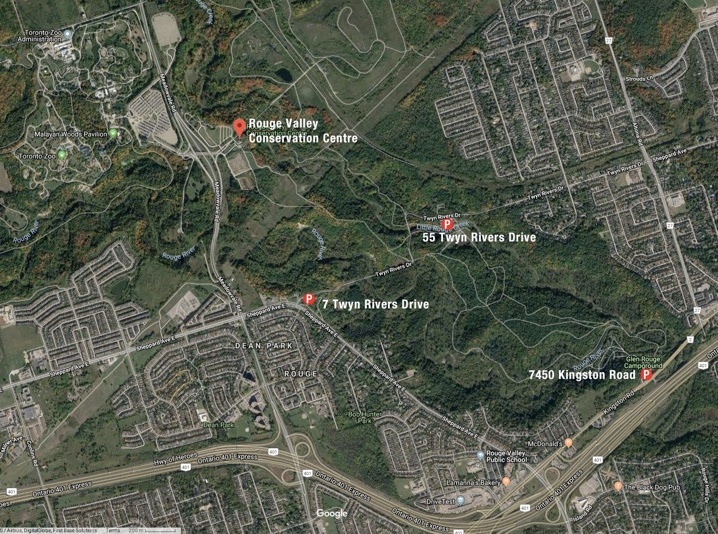 Cycling to the Rouge Valley Conservation Centre? 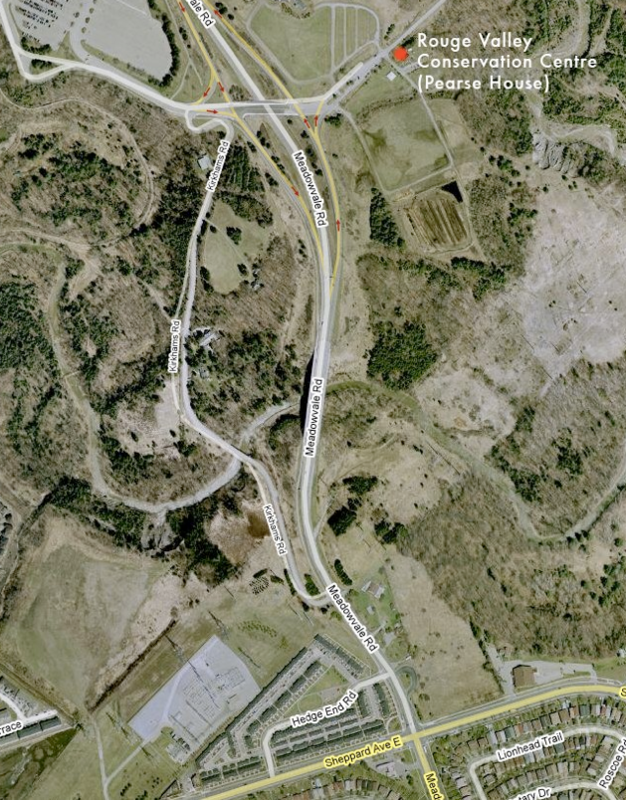 We are located just off the Gatineau Hydro Corridor Trail. Visit the City of Toronto Cycling website for further details. Click here. Please note, while you can cycle to the Rouge, cycling is not permitted on the trails. All trails are strictly hiking trails and there are currently no bike racks for locking up your bicycle. While visiting the Rouge Valley Conservation Centre, please feel free to park in one of our 6 Visitor Parking Spots. Please do not park in Staff designated parking spots and please do not park along our driveway or block any gates or entrances as these must remain clear in case of emergencies. Coming for a Hike in the Rouge? This is a small parking lot with access to only the Glen Eagles Vista trail which overlooks the valley.